In 2017, Eli Miller, Mr. Mnuchin’s chief of staff, drew criticism for flying to Palm Beach on the private plane of Nelson Peltz, the hedge fund billionaire. Treasury’s inspector general opened an inquiry into the trip and found that Mr. Miller did nothing illegal. However, Rich Delmar, counsel to the Treasury inspector general, wrote in a report that it was not necessarily a good idea for officials to embark on such lavish travel. Richard Painter, the former chief ethics counsel for President George W. Bush, said that federal ethics regulations offer substantial leeway for officials to accept gifts from friends. Despite the longstanding friendship between Mr. Mnuchin and Mr. Milken, he thought the decision to fly on his private plane was questionable, even if the secretary paid for his seat or part of the total cost of the flight. “The appearance of a Treasury secretary sitting on a private plane belonging to someone who is convicted of a felony securities fraud, it’s just atrocious, regardless of who paid for the plane,” Mr. Painter said. Mr. Mnuchin has not been shy about his relationship with Mr. Milken. Last year he was a speaker at the Milken Institute’s annual conference, and he spoke at an event that Mr. Milken sponsored in the Hamptons in August. 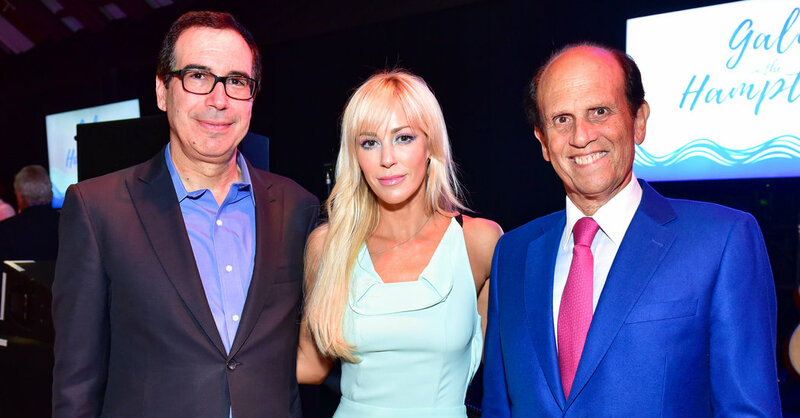 At that event, according to a Bloomberg News report, Mr. Mnuchin described Mr. Milken as “beyond remarkable,” and Mr. Mnuchin’s wife, Louise Linton, complimented the former financier on his midnight blue jacket. Travelers asking airlines: Is the Boeing 737 MAX 8 safe to fly? March 12, 2019 Comments Off on Travelers asking airlines: Is the Boeing 737 MAX 8 safe to fly?